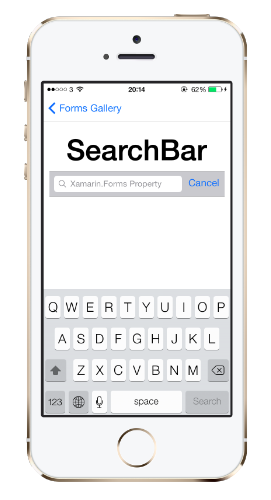 When you are using Xamarin forms and add the SearchBar control, you’ll notice that there will be a Cancel button shown while you are typing text in the search entry area. So I looked for the iOS reference on the UISearchBar and it seems that by manipulating the ShowsCancelButton property, you can show or hide that button. 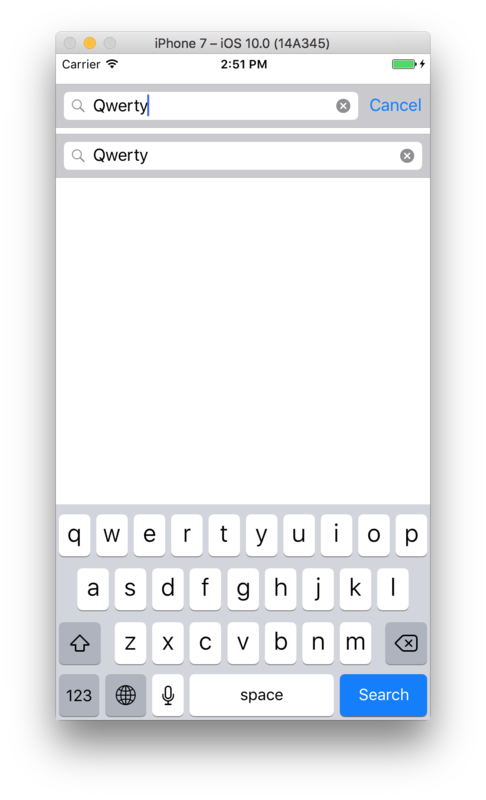 BUT when trying this out in a demo app, I noticed that the Cancel button would still appear when I started typing text in the search entry!! No idea why this could be happening, I opened the Open Source code of Xamarin forms to take a look at how the guys of Xamarin are handeling the SearchBar. And yes, thank god it’s Open Source, because now I could see why my custom renderer has no effect! If we take a look at https://github.com/xamarin/Xamarin.Forms/blob/74cb5c4a97dcb123eb471f6b1dffa1267d0305aa/Xamarin.Forms.Platform.iOS/Renderers/SearchBarRenderer.cs#L167, we can see that the Xamarin forms base SearchBar renderer for iOS will toggle the ShowCancelButton property as soon as you change the text of the search entry… In other words, this will override my initial setting in my custom renderer. Back to square one, how can we still hide the cancel button in this scenario? Well if you look further in the code of Xamarin Forms, we will see that the cancel button is being updated each time the TextProperty and the CancelButtonColor property are changed. By adding this code we will bypass the base code of OnElementPropertyChanged if one of these 2 properties change. We do still copy/paste the original Xamarin forms code for the TextProperty because this is needed. I did not however, copy over the code for the color changing of the cancel button – because want to hide it, so no need for that code in our project!